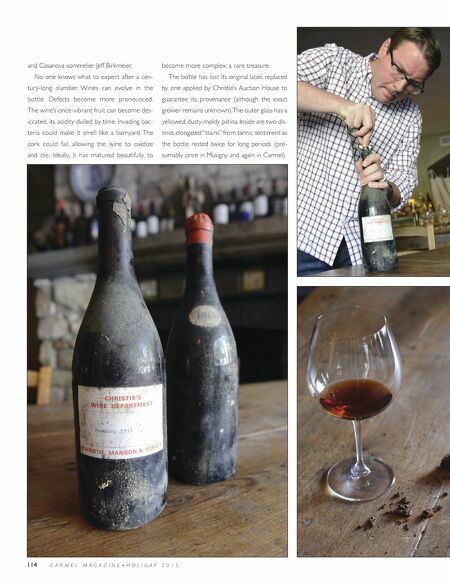 Opposite: Casanova sommelier Jeff Birkmeier painstakingly removes the 100-year-old cork, some of which crumbles onto the table. The label verifies the authenticity of the wine, purchased by Walter Georis in 1980 at auction from Christie's. 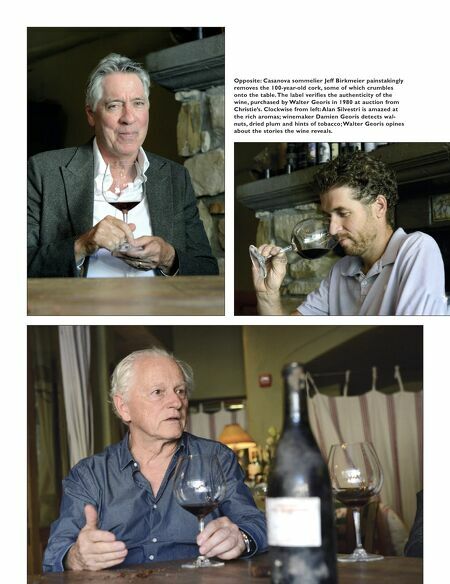 Clockwise from left: Alan Silvestri is amazed at the rich aromas; winemaker Damien Georis detects wal- nuts, dried plum and hints of tobacco; Walter Georis opines about the stories the wine reveals.